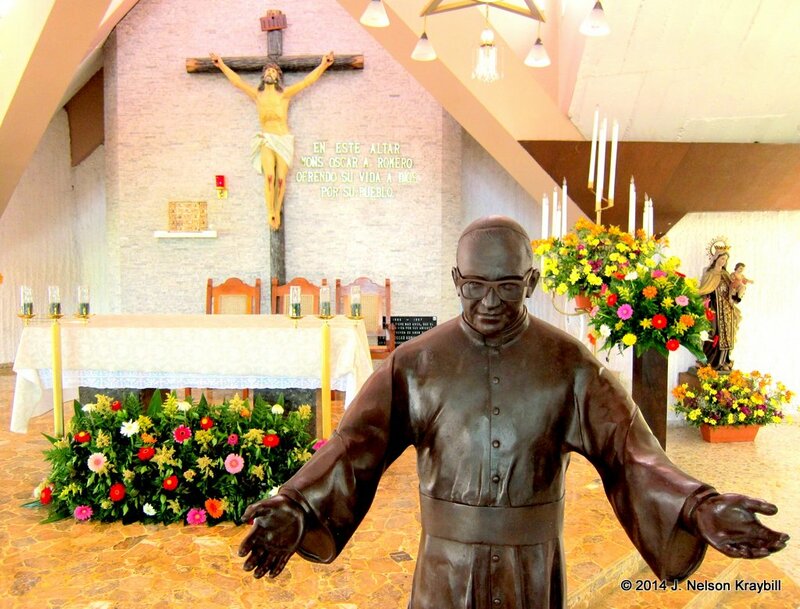 Today a life-size statue of Archbishop Romero stands at the spot where he delivered his last homily in the chapel of Divina Providencia hospital. When he finished speaking, he stepped to the altar in the background and died from a bullet fired from the rear of the building. This week an unscheduled airline layover in Central America gave me a day to explore sites related to the life and death of Archbishop Oscar Romero. I saw a robe dipped in blood—vestments worn by Romero when he was assassinated in 1980 for daring to confront abuses of a right-wing dictatorship in El Salvador. As Romero stepped to the altar to celebrate Eucharist, an assassin’s bullet cut him down. When I visited Romero’s nearby humble house this week, a nun showed me his vestments still stained with blood. Romero confronted powers of oppression and violence with nothing but the “sword” of the Word of God. He charged into spiritual and political battle with inspired words and changed the course of Salvadoran history, helping end dictatorship and war. Alexander the Great charges into battle against King Darius of Persia in the fourth century BC. This mosaic found at Pompeii is at the Naples National Archaeological Museum. A mosaic from Pompeii (ca. 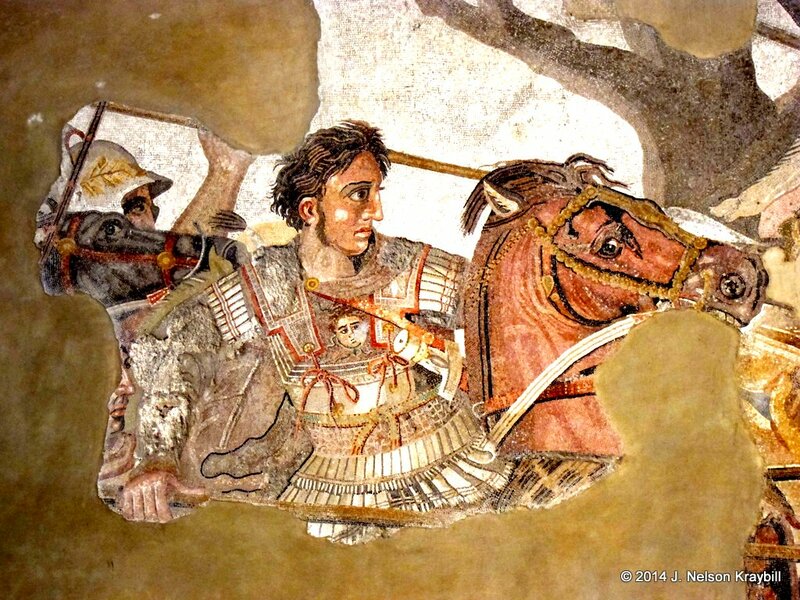 100 BC) shows Alexander the Great also charging into battle—in this case against the Persians. But Alexander has a literal sword in hand, and he intends to kill. Roman emperors in the first century routinely put similar images of themselves on coins. Such Greek and Roman military propaganda–and Old Testament precedents–stand behind Revelation 19. But John of Patmos completely transforms the imagery! An equestrian Christ in John’s vision wears garments splattered with blood—his own blood shed at Calvary. Like Romero two millennia later, Jesus confronted powers of death and violence with the Word of God—not physical violence—and laid down his life in love. Never underestimate the power of the spoken Word of God to bring down oppressive powers and point the way to healing of the nations.